Tech leaders should probably read this. Tech leaders and CFOs need to speak the same language when selecting a software outsourcing partner. With over 15 years of outsourcing experience, Accelerance is a trusted leader in the industry. 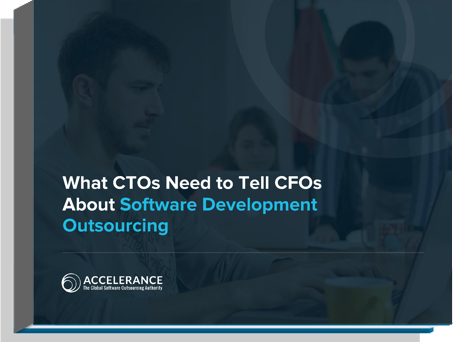 The What CTOs Need to Tell CFOs About Software Development Outsourcing eBook provides insight into strategic alignment between the CFO and tech leaders.